This is a guest post by Sagatom Saha, the research Associate for energy and U.S. foreign policy at the Council on Foreign Relations. Last week, Westinghouse Electric Company, the firm that once marked America’s dominance in nuclear power, filed for bankruptcy. Over the decades, the United States has since been reduced to a minor player in the global nuclear market it created. And although some of the world’s largest developed economies like Germany and Japan have taken a step back from nuclear power, in rapidly emerging economies keen on securing clean, reliable, and affordable power, nuclear is poised for growth. In Foreign Affairs, I explain how Russia is benefiting geopolitically in America’s absence. Although emerging economies may want to deploy nuclear power to meet a variety of goals from meeting their climate targets under the Paris Agreement to powering their growing economies, Russia has been aggressively exporting nuclear technologies as a matter of foreign policy. Putin himself has travelled internationally to sign deals to construct nuclear reactors on nearly every continent. As a result, Russia already dominates the global market, and it is poised to increase its market share. Moscow already uses its favorable market position to exact political gains like support within the European Union from Hungary. If this trend continues, Russia could find itself with more allies in the decades to come, and the United States fewer. Russia stands to benefit most from the developing world’s increasing appetite for nuclear power. Rosatom currently has export orders valued at more than $300 billion—60 percent of the overall market—for 34 plants in 13 countries. Russia’s share of the global nuclear export market will increase as long as the Kremlin considers it a matter of state policy. 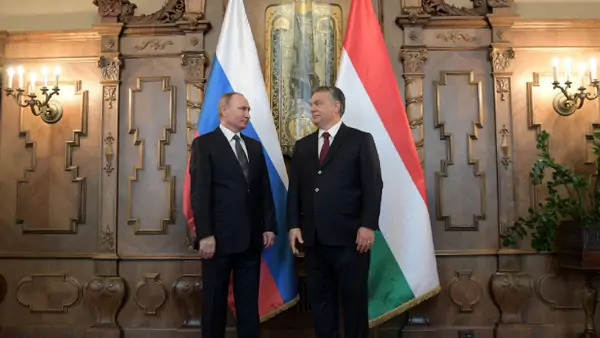 Putin’s visit to Hungary was only one stop in an international tour to sign nuclear power deals that resulted in broad agreements on nuclear power with 13 nations on nearly every continent. 20 to 50 percent less than Western equivalents. At the same time, Russia is racing ahead with plans to deploy the world’s first two Generation IV reactors domestically by 2025. In the absence of serious rival suppliers, the combination of favorable financing and advanced technology will sustain Russia’s competitive edge for decades to come. Unfortunately, even as it increases its nuclear exports, Russia would do little to address the emerging security challenges that would accompany the spread of fissile materials. To avoid a more dangerous future in which the United States loses economic and diplomatic leverage, I urge the United States to compete with Russia by revitalizing its civil nuclear industry with sensible, bipartisan policies including cutting regulation, lowering borrowing costs, and investing in science and innovation.